The Talbot Library and Museum (TL&M) operates solely on donations and bookstore sales. TL&M has been able to offer patrons free admission to the museum and Walkingstick Research Library. We hope to continue to do so. Our research collections focus on Northeast Oklahoma, Northwest Arkansas, and Cherokee Territory genealogy and history. 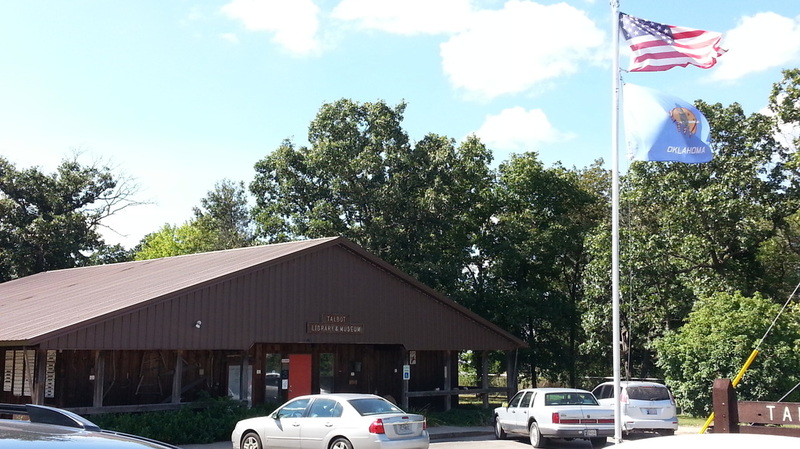 We have one of the best Cherokee genealogy collections and research facilities in the United States. 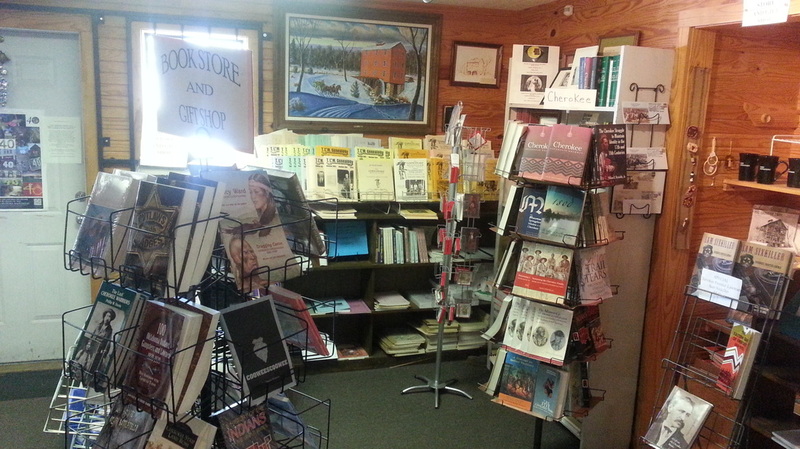 Our facility includes a bookstore offering new and used history, local, and genealogy books. Some of these books are also for sale online. Our two-acre property contains an old schoolhouse, a post office replica, local antiques and many more items of local and area interest. 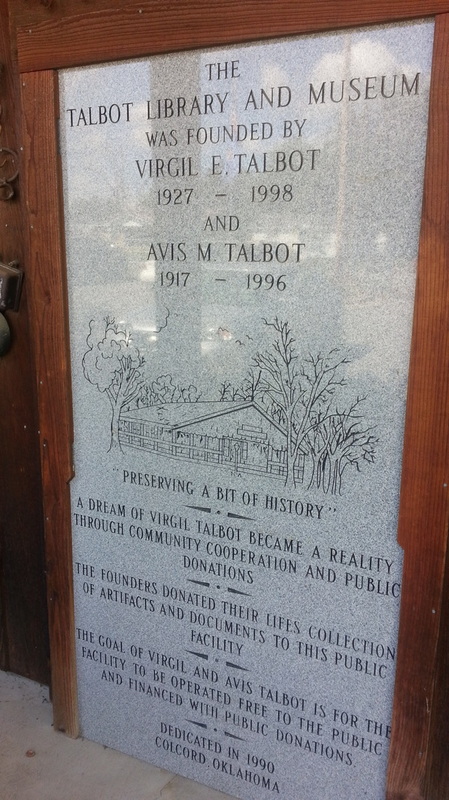 In order to continue its goal of "Preserving a Bit of History", we ask that you consider donating to the Talbot Library and Museum. We also hope that you will consider TL&M in your charitable bequests, estate planning, and memorials. Planned giving through trusts and wills offer another opportunity to contribute. 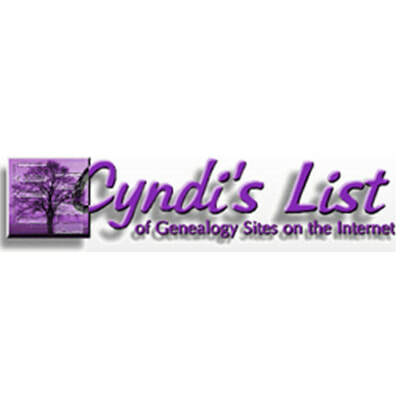 Memoriams and honorariums are great ways to recognize a loved one as well. 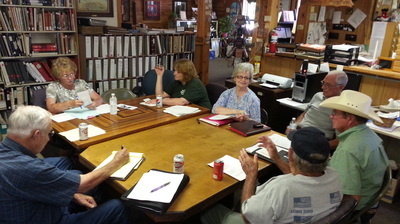 The Talbot Library and Museum is a 501(c)3 non-profit organization. Every gift of any size is tax deductible as allowed by law. Please direct any questions to our staff by phone at (918)-326-4532 or by e-mail at talbotlibrary@earthlink.net.